Want to start a vinyl wrapping business or simply make extra money on the side? Use this kit to get your feet wet and possibly make your money back installing materials for your friends and family. 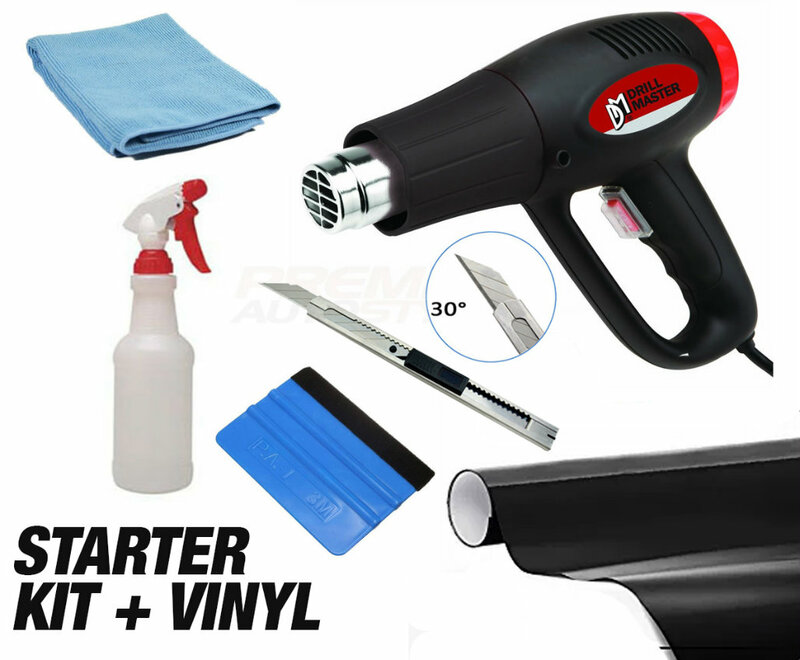 We've put this starter pack together to make getting started easy. NOTICE: THIS KIT INCLUDES A HEAT GUN. THIS IS A PRODUCT THAT IS ONLY AVAILABLE FOR CUSTOMERS IN NORTH AMERICA AND SELECT REGIONS THAT USE 120V AS THE STANDARD. YOU CAN CONTINUE TO ORDER IF YOU DO NOT LIVE IN NORTH AMERICA BUT HAVE ORDERED IN THE PAST WITH NO PROBLEM. PLEASE CHECK TO SEE WHAT THE STANDARD VOLTAGE YOUR REGION USES BEFORE PURCHASING.